During his one year term as Lord Mayor of the City of London, David Wootton will address approximately 10,000 people every month, making around 700 speeches to foreign ministers, business leaders and dignitaries. David explains the importance of the City of London to the UK economy and his role as the 684th Lord Mayor. A born-and-bred Yorkshireman, David Wootton had no tangible links to London where his family and background were concerned. Arriving in the capital in 1973, having read Classics and Law at Jesus College, Cambridge, David set out on a career that would put him in line for the top job in the Square Mile. Within six years, David was a partner at international law firm Allen & Overy, and would spend the following 20 years nurturing an interest in the governance of the City of London Corporation. 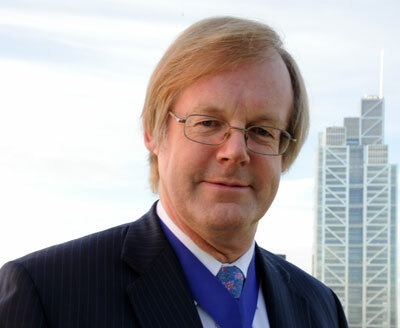 Having become an elected Member of the Ward of Farringdon Within, David stood for election to the Common Council of the City of London in 2002. Three years later, he was elected Alderman for the Ward of Langbourn before becoming Sheriff of the City of London in 2009. In November last year, he was elected the 684th Lord Mayor of London, a position he uses to promote UK business. How is your time spent as Lord Mayor? I have just returned from a week-long business mission to Canada, and two weeks after that I�ll be off to Singapore, Thailand and the Philippines. To date, half of my time has been spent out of London. Part of a Mayor�s role is their civic duty to the community, as well as a social duty, charitable duty and a business duty. Of course, being Lord Mayor of the City of London, business duties take precedence. It�s a case of using the office and accessing foreign figures, usually through our embassies. By taking other British people, businesses and public sector bodies into those rooms with me, we can do what the City of London Corporation does best: bring people together and get conversations started. The Lord Mayor is at the service of the whole spectrum of British companies, including those under the radar of important decision makers. How do you ensure London remains attractive as a centre for international business? By listening to the concerns of UK business leaders, we are able to make sure that the voice of British business is heard by government and regulators. Through our work, we are able to raise awareness among decision makers of the importance of the financial services to the UK economy. Financial and related professional services make an important and positive contribution to the UK economy, employing over two million people in the UK and contributing £63bn in tax revenue. An important part of our work is making sure that businesses from across the UK know that we are at the service of all UK business, not just those located within the City. What are the biggest challenges that the City faces today? Regulation. Though nobody disagrees with regulation, what we need is better regulation, not more of it. Unnecessarily heavy regulation makes business sluggish, and if it becomes too much of a burden, can be dangerous. This year we have seen two significant threats to UK financial services in the form of proposed EU legislation. The first of these was legislation to prevent financial services being carried out with countries that do not conform to EU rules. Such a move could have had dire consequences for the UK financial services industry and for the wider UK economy. Another regulation threat is unilateral taxation. The proposed EU financial transactions tax would hit the UK disproportionately hard, with something like 70% of the tax coming from London only to be sent to European coffers to be divided up. The returns for the UK would be significantly less than the initial 70% contribution. Is it beneficial for the UK to be part of the EU? We remain wholly committed to a vibrant single market and wholly committed to a successful Eurozone. It is in Europe�s interests that we do and it is in the UK�s interests that we do; the EU is our biggest export market. How do you think London is viewed by other global economies? When we were in the Middle East at the beginning of the year, we asked people about their perceptions of the UK, given that we are in Europe, but not part of the Eurozone. Generally, this distinction worked in the UK�s advantage, with many viewing the UK as a better investment option for being outside the Eurozone. A lot of people are concerned we might be regarded as being isolated from Europe, but they don�t see it that way in the Middle East. And it is a similar story in all the other markets I have visited. London�s reputation remains high particularly in this Olympic year. How do you consider Canary Wharf in relation to the City? Although Canary Wharf is located in Tower Hamlets, from the Lord Mayor�s perspective, it is part of what I represent. The City has become more of a concept than a boundary marker. As Lord Mayor, I help to protect the interests of UK financial and professional services, and Canary Wharf is included in that, just as the West End is, and Leeds, Edinburgh, Birmingham and so on. If you could change one thing about the City of London, what would it be? It would be the way the City is perceived from the outside, both in the UK and abroad. From the business missions I have undertaken, it is clear that British business is very welcome overseas; so I would like us to make a stronger effort with our export markets. I think the perception of the City at the moment is what is holding businesses back. People think that we are happy as we are, that we aren�t interested in our image and that we are not interested in supporting business growth. That is far from the case.